Today is Veteran's Day, and we'd first like to thank all the American veterans who have served our country so bravely in the past! What better day than today to update you all on the results of Operation Christmas Card in our Beverly's stores? 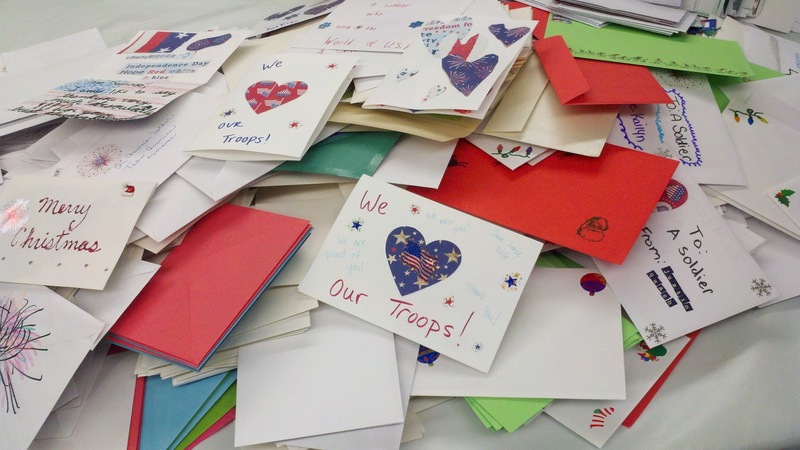 Last Saturday, customers took time out of their shopping visits to make cards for the military men and women currently serving in the Armed Forces. Customers of all ages, men, women, and children, came together, and with supplies provided by Beverly's, created over 1,300 cards for our troops! The cards included heartfelt messages for the troops safety, thanks for their service and wishes for a happy holiday season so far from home. This morning we counted the cards and boxed them up for delivery to the headquarters of Operation Christmas Card. From there, the members of that organization will insure that the cards will reach our troops in time for the holiday. 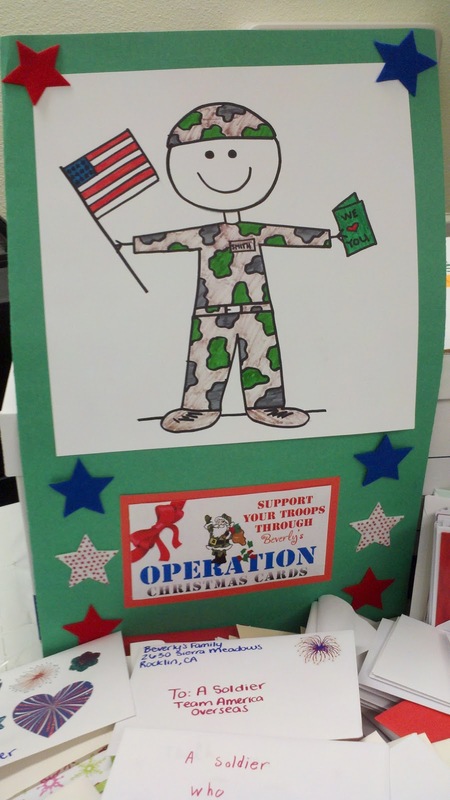 Beverly's would like to thank EK Success for giving us the opportunity to take part in this worthwhile service project, the customers who put their talents to good use creating the cards, and all the service men and women who serve our country so bravely.